Suggested by Sonic The Pokemon Trainer is back and now that she has gotten Charizard back in Ultimate the squad is at full power once more. That being said, I think Pikachu could handle all 3 of her Pokemon. With his speed and type advantage Pikachu would be able to take out Squirtle almost instantly. Charizard will also need to keep his distance and while Ivysaur is a solid fighter, he also isn’t fast enough to keep up. Pikachu is vastly stronger than most Pokemon and only a handful can even hope to keep up with him. He won’t be losing anytime soon. 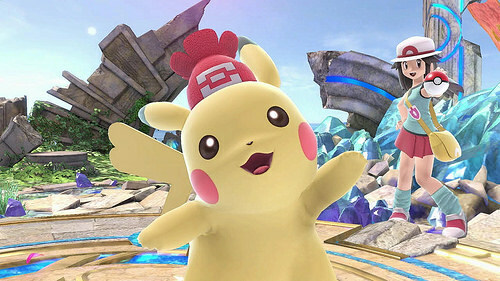 Pikakchu wins. This entry was posted in Battles, Pikachu Battles, Pokemon Trainer Battles and tagged Pikachu, Pokemon Trainer by dreager1. Bookmark the permalink.